September 26, 2012 By This post may contain affiliate links. Jeepers Creepers is a must see Halloween movie… so make a treat to go with it! These Jeepers Creepers Candy Bars are simple to make and are so much fun to have with your spooky movie night! 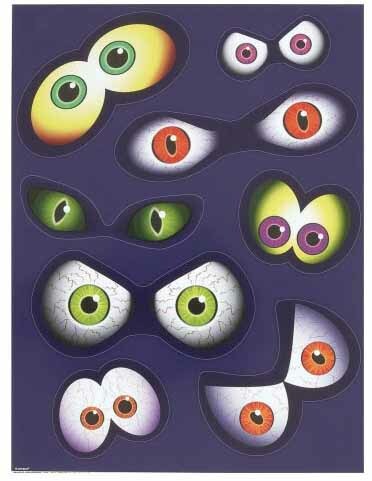 We have been busy transforming our house for our Halloween party and while sorting through bins of Halloween decorations, I came across a set of window cling eyes that I’ve had for years. These spooky eyes have peered out at my guests from under our glass dining room table, have peeked through shower curtains, and have gazed at everyone through our t.v. 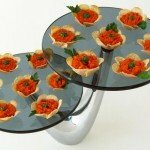 I love that they are re-usable and stick to so many different surfaces. As I was trying to decide where to place them in our house this year, I was struck with an idea to make these Jeepers Creepers Candy Bars. 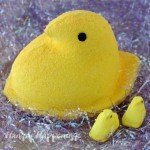 This is such a simple project that can be made using store bought candy and even store bought candy bars. I did make my own bars, but any flat chocolate bar will work just as well. Make some chocolate bars or unwrap store bought bars. 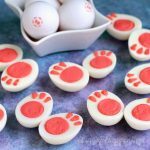 You can melt and temper pure chocolate or simply melt some confectionery coating/Candy Melts and pour it into candy bar molds. 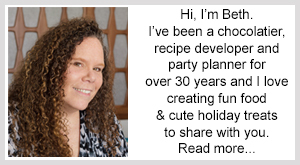 See my Chocolate Making Tips page for more detailed instructions. Once you fill the molds, tap the mold on the counter to get rid of the air bubbles that have formed. 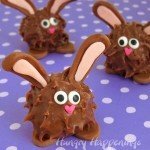 Refrigerate, if using pure chocolate, or freeze, if using candy melts, just until the bars are set, 5-15 minutes. Un-mold, by turning them upside down while holding your hand under the bar. If the chocolate is completely set, it should just fall out of the mold. You can press gently on the back side of the mold, if needed. 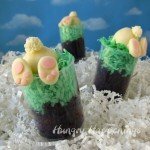 Allow your bars to come up to room temperature before decorating them with candy eyes. 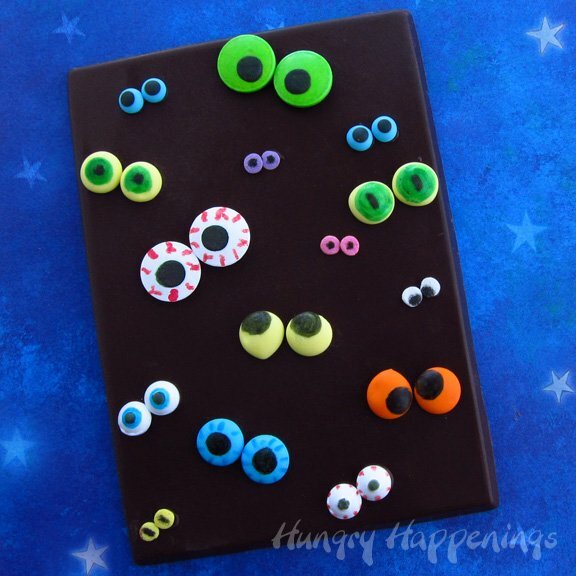 Be sure to reserve a bit of your chocolate to use as glue to attach your eyes. 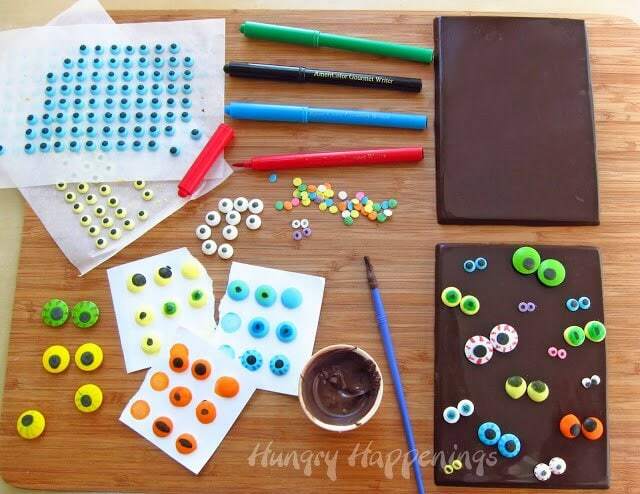 Use food coloring markers to draw eyes onto your candy pieces. I used an assortment of pre-made candy eyes, then also drew eyes on mega candy buttons and confetti sprinkles. Be creative and make lots of different looking eyes by adding colored irises and bloodshot veins. Pour some melted chocolate or coating in a small bowl and use a paintbrush or toothpick to dab a small amount of it on the back side of each eye. 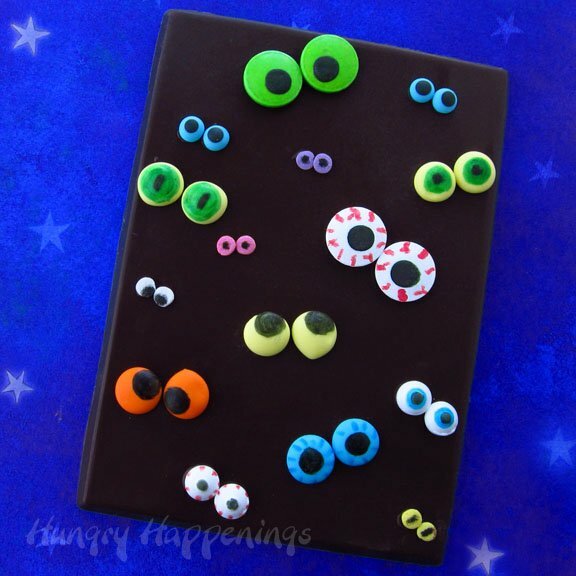 Attach the eyes to your candy bars in pairs. 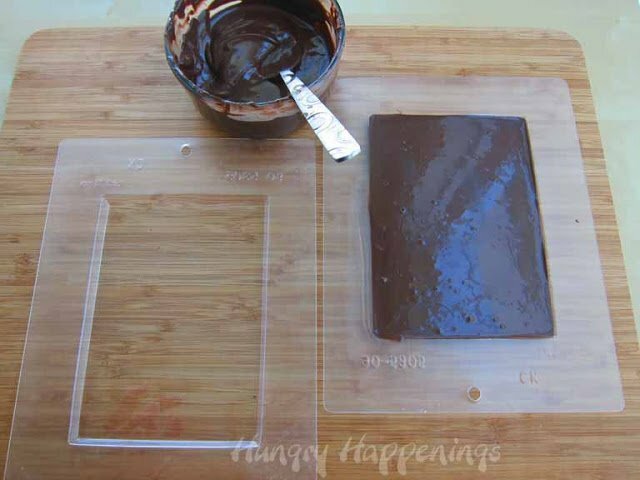 If you are using store bought candy bars, just melt one of the bars (or a part of it) to use as the chocolate glue. 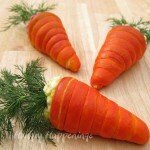 You can melt it, by finely chopping it, placing it in a small bowl, and heating it in the microwave. I would suggest heating on high for 10 seconds, then stirring, then again for 10 seconds, then stir. After that you might want to try 50% power for 10 seconds. Stir until melted. The time and temperature will depend on the amount of chocolate you are melting. Package your bars in clear cellophane bags to give as gifts. These will keep for several months if stored in a cool dry place. Really cute idea! And congratulations to LizyB. Yay…LizyB! Cute candy bar…love it! 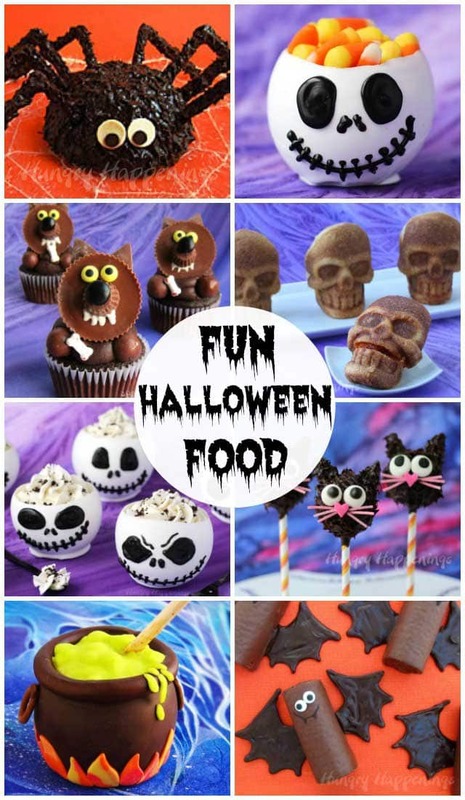 That is so much fun, what a cool, edible decoration! This candy bar is too cute to eat! What a great idea! Can't wait to try it! Thanks. So cute! Thank you for the great tutorial.